To set up the operation which aims at opening a new front in Western Europe, the Allies create a new command composed of several combined operations. The combined operations during amphibious operations refer to a new military concept for the leading nations which discover its importance during World War II. The combined operations bureau is led by the “COSSAC”. It is the “Chief of Staff to the Supreme Allied Commander”, led by Frederick Morgan. The purposes of the COSSAC are as follows: to choose the exact place of the landing, to collect as much information as possible from the previous combined operations (operations in North Africa: “Sledghammer” and “Torch”, and in Northern France : “Jubilee”), and to deal with the troops transport issues. The COSSAC must first of all define the invasion location in Western Europe. The opinions are very divided within the allied officers. The strategy is presented in August 1943 at the Quebec conference: Normandy is the starting point of the allied invasion in Western Europe. Why did the Allies choose Normandy? The Britanny coasts are too far away from England, the grounds in Holland are flooded and do not allow the installation of a solid beachhead, the currents of the Belgian coasts are very strong and thus dangerous, and the Germans await the Allies in the Pas-de-Calais area. The Norman coast is mostly composed of sandy beaches. There are also rollers. The composition of the Norman beaches is relatively close to those that can be find along Western England. Thus, the soldiers can train on the other side of the Channel and they can even test the resistance of the tanks on this particular type of sand. To carry out the preparation of the European invasion, it is necessary for the Allies to gather their troops in Great-Britain in preparation for a greater scale operation in France, which is by then called “Round-up”. 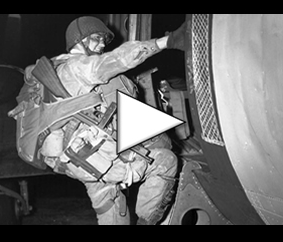 Initially, within the framework of the preparation of the invasion, the allied armies must be equipped and trained in order to carry out various and precise missions. The American and Canadian troops first train on their own soil, but it is already necessary to transfer their armies accroos the Atlantic toward England, which becomes the starting point of the attack in Europe. Late 1942, the first transport ships leave the United States and reach the United Kingdom. An intense anti-submarine battle starts in the Atlantic between the allied surface vessels and the German submarines. In 1943, this battle is won by the Allied forces. Once landed in England, the allied soldiers are installed at various places of the country, while the material (tank, vehicles, guns…) is stored in secret bases. The economic lend-lease program has extended well, and the Americans deliver hundreds of vehicles, war ships, and individual armament to the British, in exchange of the use of British military bases all over the world. The work of the allied reconnaissance aircrafts is considerable: the photographs taken bring important information to the allied strategists, who consequently set up the missions of their forces. Many pilots are trained, many amphibious exercises take place, and airbone exercises are carried out above England. The allied troops are constantly trained and the moral is good. The number of war ships and transports is increasing in the British harbors and as well as the number of air raids over the North-Western french coasts. Indeed, the French shore located between La Pallice at the South and Dunkerque at North is constantly attacked. From January 1944 to June 1944, the frequency of these raids increase considerably. This gigantic gathering of troops, vehicles and ships in England is not unperceived and the Allies know it very well. The Germans, which understands quickly that a vast amphibious operation is in preparation, decide to increase the number of their secret agents in Great-Britain. The Allies, which expected this kind of situation, prepared “operation Fortitude”, in order to give wrong intelligence to the German services. Thus, a “phantom army” is set up in England, equipped with inflatable armoured vehicles and wooden guns. These fake units are positioned in front of the French Pas-de-Calais region, in the area of Dover. The German reconnaissance aircrafts observe this fake army and the German specialists think it is led by general Patton. Thus, the German 15th Army, based in the Pas-de-Calais, is ordered to prepare itself against a landing: the success of operation Fortitude is total. The Allies need the help of the French resistance networks during and after the preparation of the invasion which is then given the following codename: operation Overlord. Intelligence is transmitted to the French resistance via the radio: the B.B.C. (British Broadcast Company) sends coded messages during the French broadcast. Every message, as weird as it could seem, has its own meaning and purpose. Thus, five days before June 6, 1944 (D-Day), the first three lines of the “Chant d’automne” poem of Verlaine (“Les sanglots longs – Des Violons – De l’automne…”) is broadcasted. 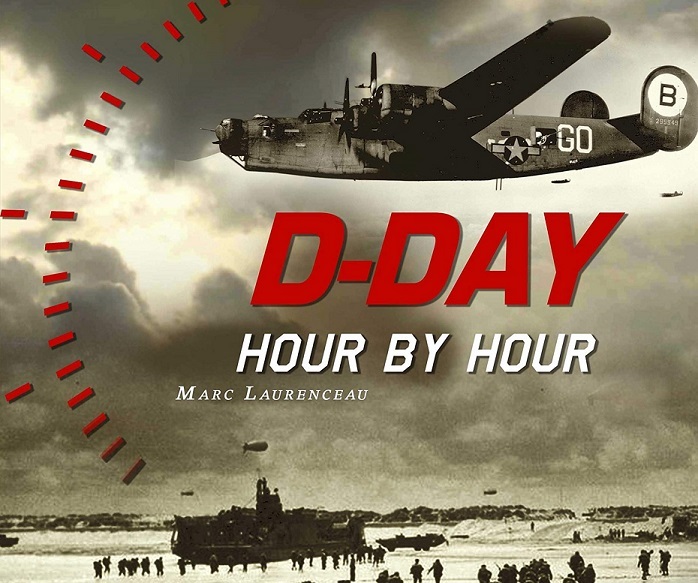 The meaning of this message is as follows: the landing will happen this week and once the three next lines of this poem are broadcasted (“Blessent mon coeur – D’une langueur – Monotone…”), the offensive will start 48 hours later. These numerous messages announce the beginning of the sabotage operations: the local resistants destroy railroads, telephone lines and install anti-tank mines on the roads. The night between June 5 and June 6, 1944, nearly 1,000 sabotage actions are carried out by the French resistance.